Once your IPTV Streams are managed by our Transcoding Engine, then you are now also able to Broadcast them throughout an entire DVB-T Coaxial TV network using the Muxing Engine + the Micro ZMS. Choose from the Streams you Transcoded and our Muxing Engine will generate an OUTPUT that can be delivered to the Micro ZMS. The Micro ZMS will then "inject" your MUX (containing your streams) into the entire Coaxial TV network. The Muxing Engine might be interesting for you if you are looking for a way to distribute IPTV Streams throughout a classic DVB-T Coaxial Network. How does Cloud Muxing work? First choose the type of Muxing Engine you need and consider the maximum Output Bandwidth the MUX has. The amount of streams you can fit inside depends on the compression settings you have applied in the Transcoding Engine. 1. Select the Streams you want "Muxed"
In order to get the Muxing Engine to generate a MUX for you, you will first need to have access to Streams that have been shared with you or which you added to our Cloud with the Transcoding Engine. You are then in a position to pick and mix a selection of Streams to create a new MUX. Keep in mind that you can now choose different Muxing Engines Limit of the MUX is of approx. 25Mbit, so you the amount of Streams you can fit inside the MUX will depend on the Streams you have selected. The name of the MUX, the type of Transcoding (H264/AAC or H264/MP2), The Band (UHF/VHF), the Frequency (MHz), the ONID and the TSID. These settings will largely depend on the conditions and requirements of the Coaxial network and building in which the Micro ZMS is to be installed. Usually, a TV/Sat engineer with specialised equipment will be able to identify and confirm the parameters. Once your MUX is configured, the Cloud is ready to send it to the destination Micro ZMS. By simply assigning the Micro ZMS Serial Number, the Muxing Engine will automatically deliver the entire MUX to your Micro ZMS over the Internet. Once the Micro ZMS receives the MUX, it will "demux" the content and inject the Streams into the DVB-T Coaxial TV Network. Any TV's connected to the Coax Network, will be able to tune the recently added "channels" by means of a automatic re-tune. If you need a MUX to inject your channels via MPTS/RTP see further information about the Nano ZMS (MPTS/RTP). Keep in mind that the Limit of the MUX is of approx. 25Mbit, so you the amount of Streams you can fit inside the MUX will depend on the Streams you have selected. You can generate your MUX with about 15 Streams inside as long as each stream uses approx. 1.5Mbps. If you want to generate a MUX with HD Streams consuming 2 Mbit each, then you would be able to fit in about 10 Streams. It is also possible to combine SD, HD & FULL HD Streams just make sure it fits in the MUX you have chosen. Change the MUX configuration or Stream Selection on the go. You can change the MUX settings any time you like. Every time you "save changes", the changes will have a near immediate effect which you will be able to observe on the TV's that are receiving the content from the Micro ZMS. In the same way, you can Add or Remove Streams from the MUX and even change Streams. 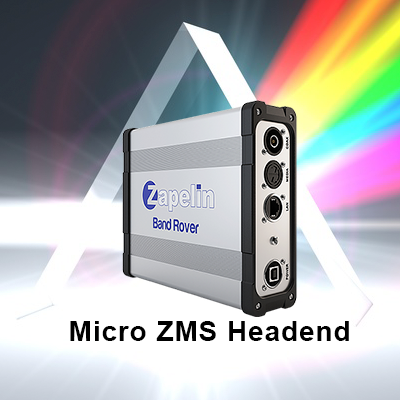 Want to use the same MUX for another Micro ZMS elsewhere? Just duplicate! You've made a MUX that you now want to use on another Micro ZMS installed at another location. Simply "duplicate" the MUX of your choice, assign a new Muxing Engine and associate it to the ID of the destination Micro ZMS - Thats it! Advertising / Information Banners throughout the Coax TV network. If you have made use of the Information / Advertising Banner Features available to you with the Transcoding Engine, don't forget that the Banners you have uploaded are "fused" into the Stream so will now also appear on the TV's that are connected to the traditional Coaxial TV Network! The same is true for the Background layer. 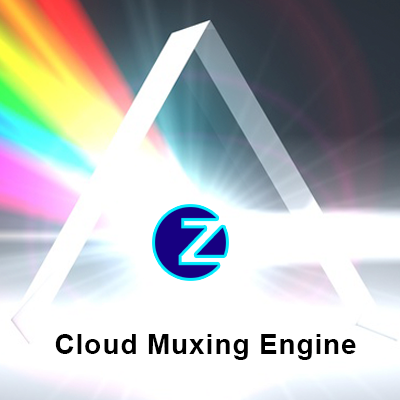 It is now possible to choose different types of Muxing Engines to suit your needs. 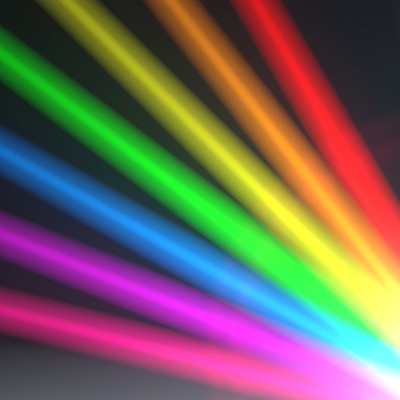 Keep in mind the maximum amount of Output Bandwidth available when selecting the MUX you need. The amount of channels you can fit in any of the following MUXES depends on what kind of compression settings you have applied to each channel at the Transcoding Engine level. For example: If you have transcoded channels at 1.5 Mbits each then you can fit approximately 6 channels inside the MUX 10 Mbits.